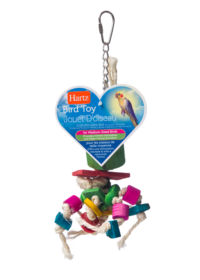 HartzAnimalsBirdsHealth & NutritionHealthIs Your Bird Overweight? Obesity poses greater dangers to birds than to other animals. Overweight birds are more common than you may think, and unfortunately, the health effects of excess fat can be quite serious. Among the more serious dangers related to bird obesity is the development of hepatic lipidosis. In birds, excess fat is stored in the liver. When liver cells become filled with too much fat, the cells no longer function properly and may, in time, be destroyed. This condition is called hepatic lipidosis. Over time, liver function may be reduced to the point that it can no longer support life. How a bird becomes obese is simple: he takes in more calories than he’s using. Diets that contain large proportions of sunflower seeds, peanuts and walnuts, all of which are high in fat, can be a major factor in weight gain. However, any diet can be harmful if it is consumed in large amounts with little or no restrictions. Another factor is genetics, which can also play a role in determining predisposition to obesity. For example, Amazon parrots, cockatiels, cockatoos and parakeets (budgies) seem to have more than their fair share of overweight members, and female birds and older birds are also at increased risk. If your bird is overweight, what’s the next step? 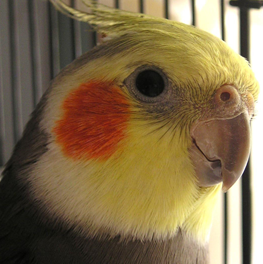 There are some simple things you can do to increase your bird’s activity level. 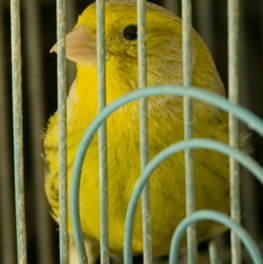 Cage size also can be increased to provide more area for exercise, and for those birds that have access to “out of cage” activities, they should be allowed and encouraged to do so more often. Changing cage toys more often also can provide increased stimulation and thus more activity. Feed restriction may not be the best choice because it won’t satisfy hunger and can cause vitamin and mineral deficiency. 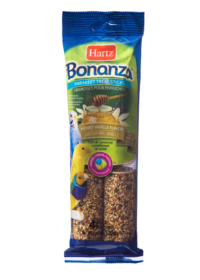 You may want to consider changing over to a scientifically formulated pelleted diet, but typically, birds that have previously been fed a high fat diet, do not find these diets especially appealing. 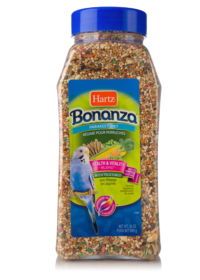 If you decide to go from a seed diet to a pellet diet, keep in mind your bird will need to be weaned slowly and you need to be sure that your bird is getting enough to eat during the process. 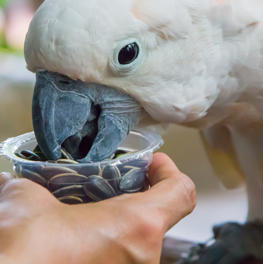 It is highly recommended that you initiate dietary changes – with the help of a veterinary professional for weekly weight checks – to ensure your bird is not starving himself. It’s important to remember that birds will live longer and healthier lives when kept lean. Always seek advice from a veterinary professional before attempting any radical weight loss program. If veterinary advice and nutritional counseling are not readily available, it is safer to increase exercise alone without drastic dietary changes.